For a homeowner, watching a dump truck and bulldozer tear up his garden plants, sidewalk and yard is a horrifying sight. Damaged pipes that need to be replaced can be expensive repairs that require a lot of manpower and time. 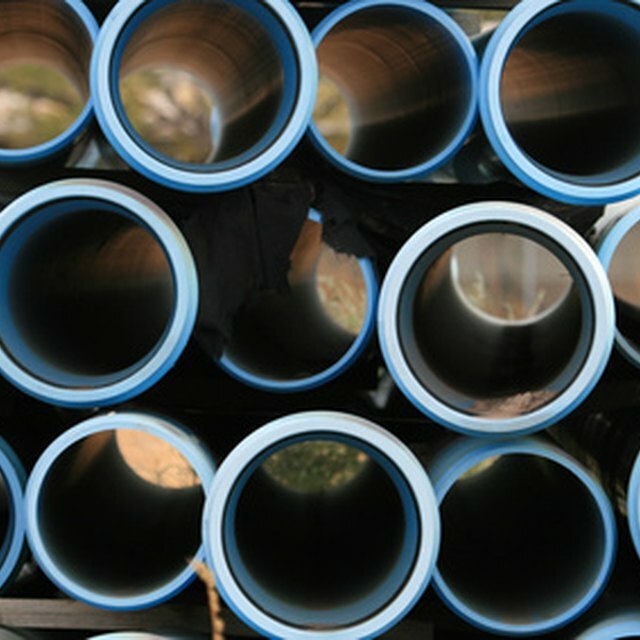 There is now a technique that a lot of pipe-repair companies are adopting called "epoxy pipe lining," which essentially uses the skeleton of the broken or deteriorating pipes to lead a new pipe interior inside. This process should only be attempted by trained professionals with the proper tools, but the following step by step instruction will give you an idea about how the process works. Underground pipe repair can be expensive, but there are techniques for relining the pipes that eliminate the necessity of trench digging. Dig a shallow ditch to reach the head of the deteriorating pipe. This is a much less destructive option than the original approach to dig a trench and replace the entire pipe. Remove the link at the head of the pipe to make an access entry for the new liner. Inspect the pipe with a video sewer camera. These cameras are attached to long, durable cords that allow the camera to be led down the pipes to investigate damage. They can also help determine the length of the pipe that requires repair. Lay out the liner, calibration tube and pull tape to measure and cut them to the proper length. The crew will have a formula to calculate how much resin will be necessary to fill the pipe. Combine the resin components. Pour the resin blend into the felt liner that was just cut. Roll the resin-wet liner through a calibration roller to ensure that the liner is completely saturated throughout. Load the liner into the air-inversion unit and transport it to the launching site. Increase the air pressure carefully to release the pipe liner into the deteriorating pipe. Once the liner reaches the end of the pipe, stabilize the pressure on the inversion unit. Remove the end of the pipe liner from the inversion unit and load the calibration tube inside and launch it into the felt liner. Inflate the calibration tube to seal the felt liner to the interior of the broken pipe. Maintain the air pressure inside the calibration tube until the resin pipe liner is completely cured. Send the sewer inspection video camera down to ensure that the pipe liner has been sealed and set properly. Cut the end of the pipe liner and reassemble any pipes that needed removal at the dug entry. Refill the access hole. Do not attempt to install pipe lining by yourself, you will require the assistance of trained professionals with the proper equipment to achieve a high-quality job. Andrea Crist began writing professionally in 2010. She specializes in craft and DIY articles for various websites. Crist completed her Bachelor of Fine Arts at Columbia College Chicago. Does an Oil Furnace Need a Chimney Liner? How do I Strengthen a Sectional PVC Flagpole?